A Talon rear sprocket for the TY 125 and TY 175 with a 520 chain size. This is supplied with 43 teeth. 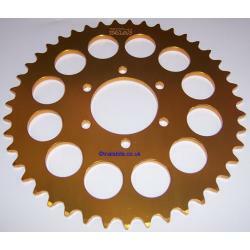 Sprockets for the 428 chain size are also available on this site.